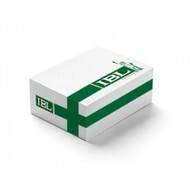 IBL-America offers a broad selection of assay kits for cancer and tumor markers. Tumor markers are substances that are produced by cancer or by other cells of the body in response to cancer or certain benign (noncancerous) conditions. Most tumor markers are made by normal cells as well as by cancer cells; however, they are produced at much higher levels in cancerous conditions. These substances can be found in the blood, urine, stool, tumor tissue, or other tissues or bodily fluids of some patients with cancer. Most tumor markers are proteins. However, more recently, patterns of gene expression and changes to DNA have also begun to be used as tumor markers. Some cancer markers are specific for a single form of cancer, while others can be found in many forms of cancer. 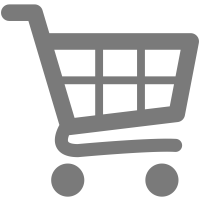 Products in this category are for routine diagnostics and research use only. Serum, plasma, body fluids, tissue homogenate or cell culture supernates from mice. 3 hour incubation (RT) + 1 hour (RT) + 30 min. (RT) + 10 min. (RT) = 4 hours, 40 min. total incubation time. B cell activation factor of the TNF family, also known as BLyS or TALL1. Serum, plasma, and cell culture supernatant. All components of this kit, except the human Bcl-2 standard, are stable at 4°C until the kit’s expiration date. The human Bcl-2 standard must be stored at or below -20°C. 60 min. incubation (RT) + 30 min. (RT) + 30 min. (RT) = 2 hours total incubation time. TPOR (Thrombopoietin receptor), also called c-MPL (Myeloproliferative leukemia protein) or CD110. Serum and cell culture supernatant. 8 standards serially diluted from 1 prepared lyophilized standard. 1 hour, 30 min. total incubation time. Solid phase, non-competitive immunoassay (ELISA) based on the direct sandwich technique. Please note this assay has a 5 kit purchase minimum. Serum and plasma (EDTA, Heparin or citrate plasma). 90 min. incubation (37°C) + 20 min. (RT) = 1 hour, 50 min. total incubation time. 1 hour incubation (37˚C) + 1 hour (37˚C) + 20 min. (RT) = 2 hours, 20 min. total incubation time. Solid phase enzyme-linked immunoassay (ELISA) technique. 200 μL properly diluted (1:51) unknown / determination. All components of this kit, except the β-Catenin Standard, are stable at 4°C until the kit’s expiration date. The β-Catenin standard must be stored at or below -20°C. Chemokine (C-X-C motif) ligand 1 (CXCL1), GRO1 oncogene, GROα, KC, Neutrophil-activating protein 3 (NAP-3) and melanoma growth stimulating activity, alpha (MSGA-α). Chemokine (C-X-C motif) ligand 1 (CXCL1), also called GRO1 oncogene, GROα, KC, Neutrophil-activating protein 3 (NAP-3) and melanoma growth stimulating activity, alpha (MSGA-α). C-X-C motif chemokine 10 (CXCL10) also known as Interferon gamma-induced protein 10 (IP-10) or small-inducible cytokine B10. Human serum, plasma, saliva, urine or cell culture supernates. Chemokine (C-X-C motif) ligand 16 (CXCL16). Chemokine (C-X-C motif) ligand 9 (CXCL9). Solid phase, non-competitive immunoassay (ELISA) technique. 2 hour incubation (RT) + 20 min. (RT) = 2 hour, 20 min. total incubation time. One step enzyme linked sandwich immunoassay (ELISA) technique. 4 hours total incubation time. Solid phase radiometric sandwich assay (RIA) technique. 2 hour Incubation (RT) + 15 min. (RT) = 2 hour, 15 min. total incubation time. Solid phase sandwich assay (ELISA) technique. 100 μL of diluted (1:10) unknown / determination. 0 / 1 - 30 µg/L. Solid phase sandwich assay (ELISA) based on immunochemical technique. 6 standards, serially diluted from 1 prepared lyophilized standard. 3 hour incubation (37°C) + 60 min. (37°C) + 30 min. (37°C) = 4 hours, 30 min. total incubation time. 2 controls (high and low). Enzyme-linked immunesorbent assay (ELISA) technique. CAM 120/80 or epithelial cadherin (E-cadherin) or uvomorulin. Cadherin-1 also known as CAM 120/80 or epithelial cadherin (E-cadherin) or uvomorulin.